South Tampa offers a unique blend of Southern hospitality, urban sophistication, and a wealth of cultural attractions. The neighborhoods have that certain something that makes homes more homey, neighbors more neighborly, and a simple Saturday at the local park or cafe can be a cause to celebrate. Bayshore/ Harbour Island: between Hillsborough Bay and Tampa's colorful mansions, this strip entices outdoor enthusiasts, from rollerbladers and runners to bikers and powerwalkers pushing strollers. Even four-legged friends appreciate breathtaking views of the city from sunrise until after dark. Detour to side streets for a glass of wine at some of the city's trendiest and tastiest restaurants. Nominated for Best Place to Bike and Best Place to Skate. Davis Island: these man-made islands were the creation of real-estate visionaire David P. Davis. 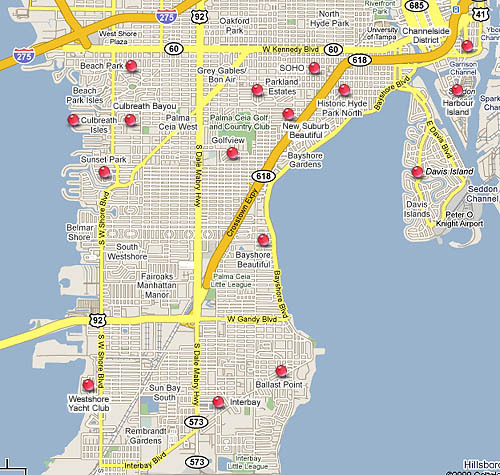 Today both commercial and residential properties continue to boom in this South Tampa area. Surrounded by breath-taking panoramic views, it's also home for Tampa General Hospital, a yacht club, a private airport, restaurants and elegant shops. Hyde Park: is a National Historic District. Sorrounded by a setting of grand oak trees and ranch style homes. 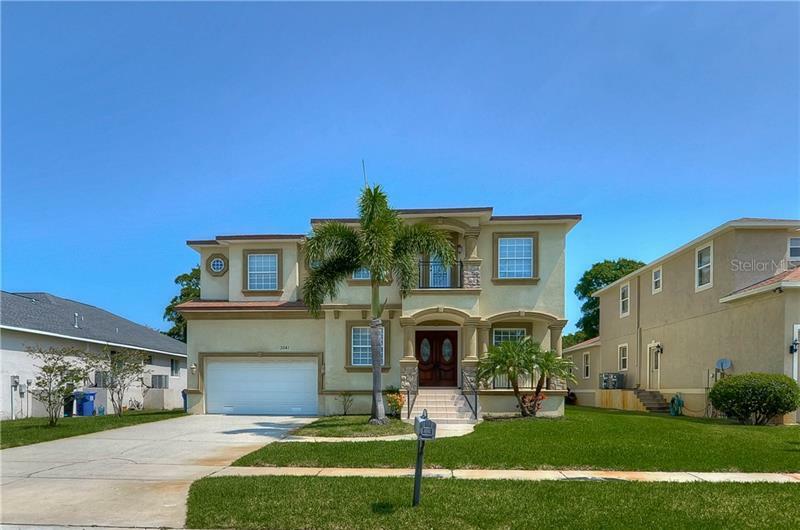 This area is home to many of Tampa Bay's prominent citizens. Also known for hosting various festive events, the area offers a multitude of shops and restaurant. Charming, cozy, unique, are just a few words to describe this neighborhood.